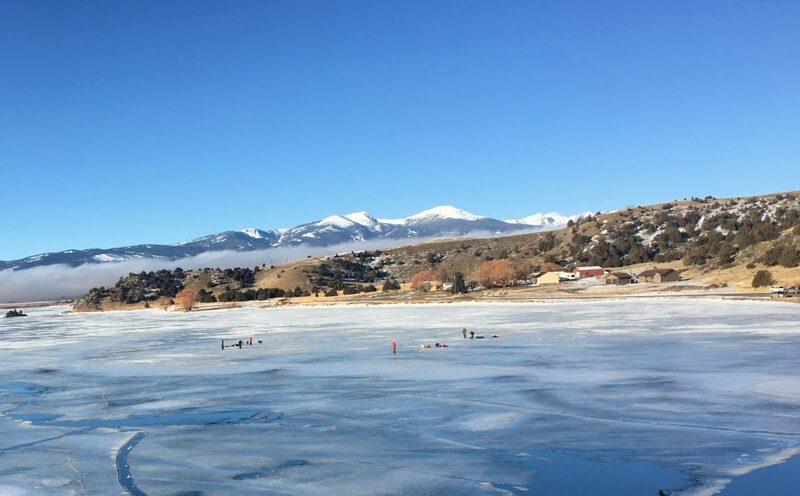 Jan. 26…2019. 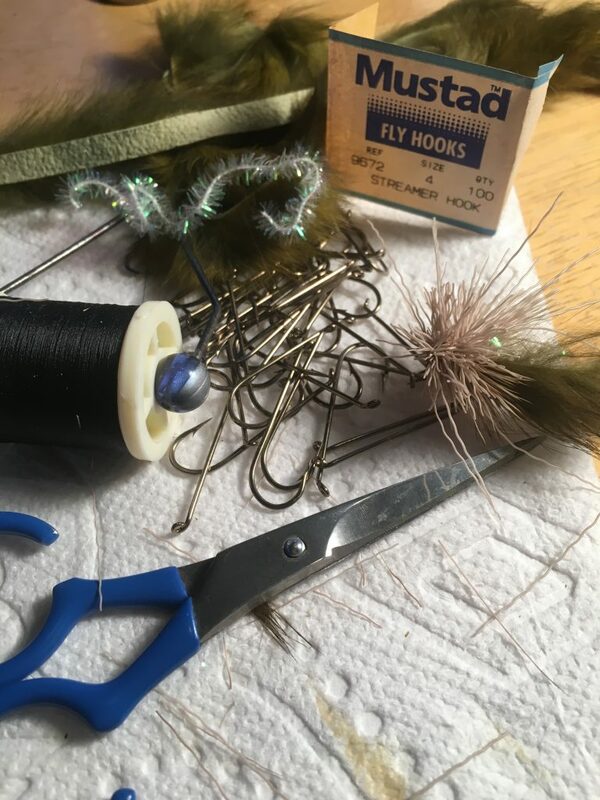 Tying up scuds and leeches and bunnys…I have gone to the Allen N203 scud hook which is a down eye, 1X short, 3X strong hook. The size 16 looks a little larger than normal but these are very good hooks and reasonably priced. Always liked the sturdy Mustad 3906B for leeches and this hook is now the S82-3906B…still my go-to hook for the “O-Leech”. 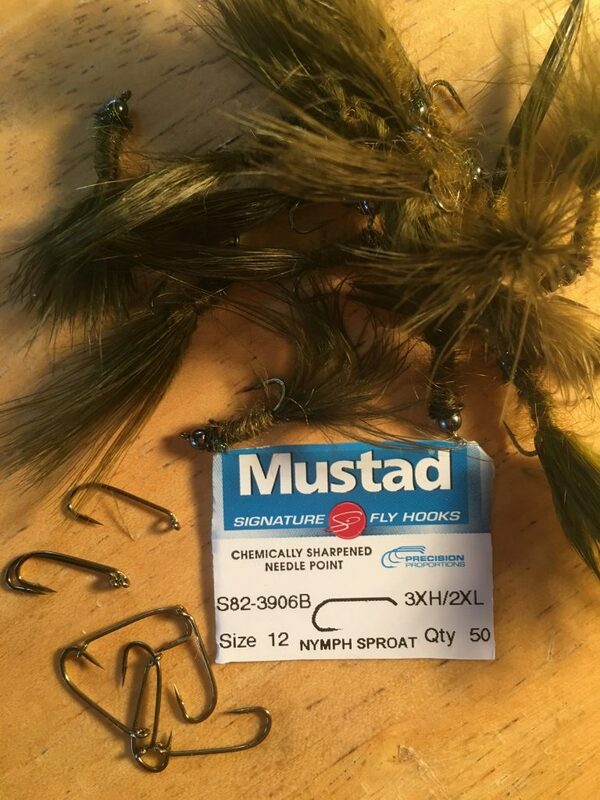 The new “Signature” series for Mustad means the hook point has been chemically sharpened. 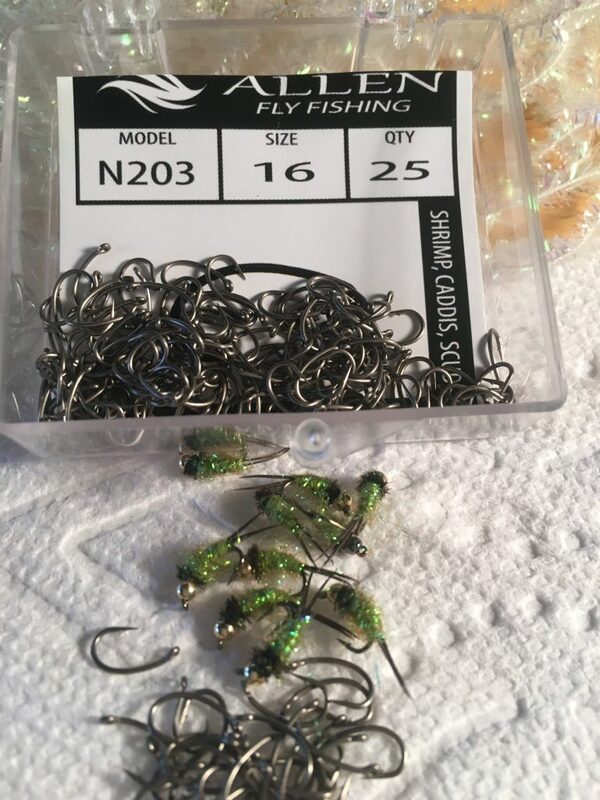 On the bunny I have used the Mustad 36890 Atlantic salmon hook and the Dai-Riki #899 salmon/steelhead with good results but lately I am using up a large stash of Mustad 9672 streamer hooks #4 which is 4X long, 2X strong. These are very good hooks in the larger sizes…I mash down the barb and sharpen them up. Mustad now calls this hook R74-9672. If you like a longer streamer hook the R75-79580 is 5X long and 2X strong. 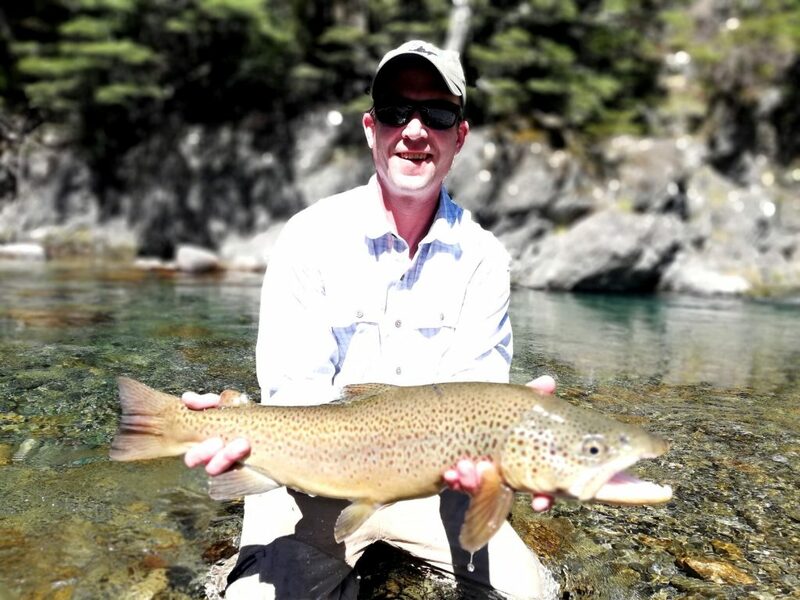 If you are tying streamers on large hooks…size 6, 4, 2, etc. it’s important to do two things: alter the barb and sharpen the hook. The barbs on larger hooks are too severe too allow for good penetration so mash the barb down to where you leave a little “hump”. You will get more solid hook-ups, better penetration and you won’t lose fish. Many of the newer hook models sport a “micro barb” so that’s a good thing. But always sharpen the point of the larger hooks…they are just not sharp enough out of the package unless you use Owners or Daiichis or similar chemically sharpened hooks, and even those should be checked for sharpness. Just lightly touch up the hook point with a fine hone or flat file. 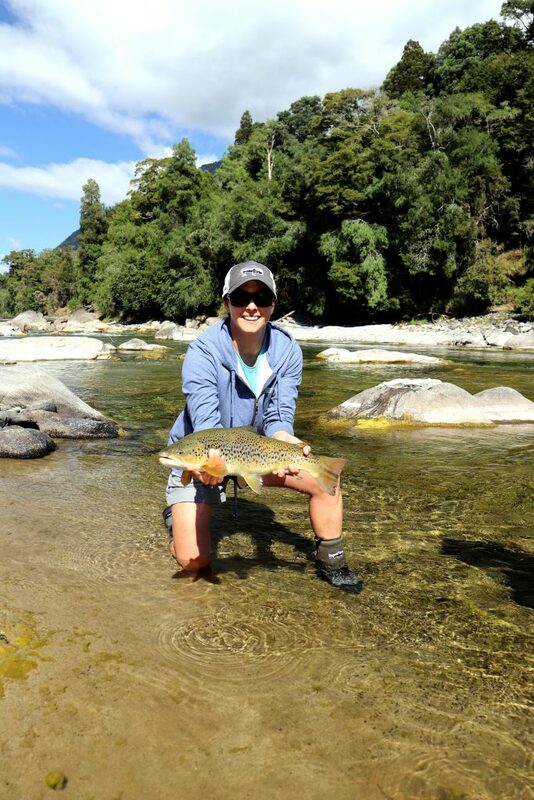 WINTER IN MONTANA…means summer in New Zealand … Some beauties caught by Andrew and Colleen Shipman in Kiwi country. 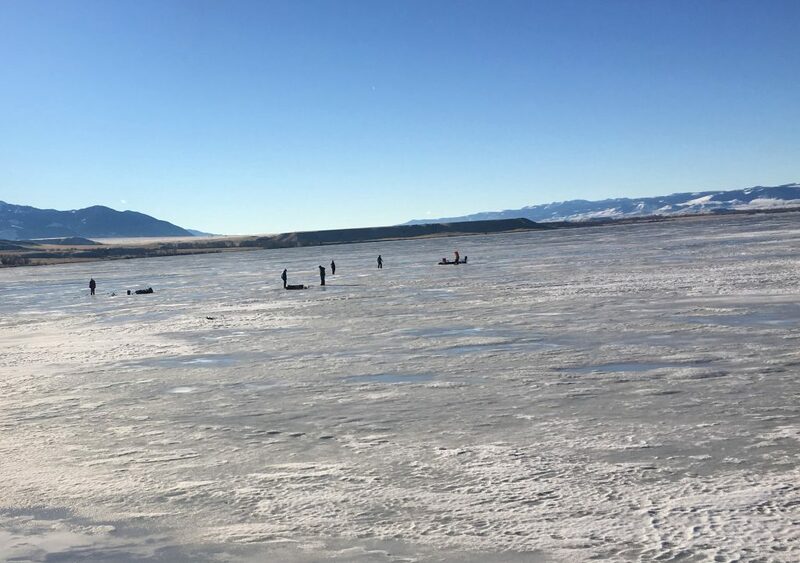 Jan. 2019…Ice fishing Ennis Lake…dig a hole…drop ‘er down…crank ‘er up!